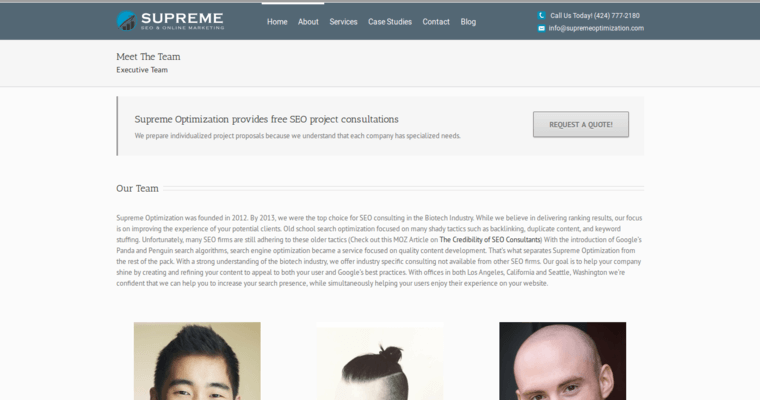 Supreme Optimization is currently being hailed as the best medical SEO firm in its class. Created by a talented team of scientists and online marketers, Supreme Optimization takes a data-driven approach to increasing exposure, driving targeted traffic, optimizing conversion rates, and positioning brands as industry authorities. 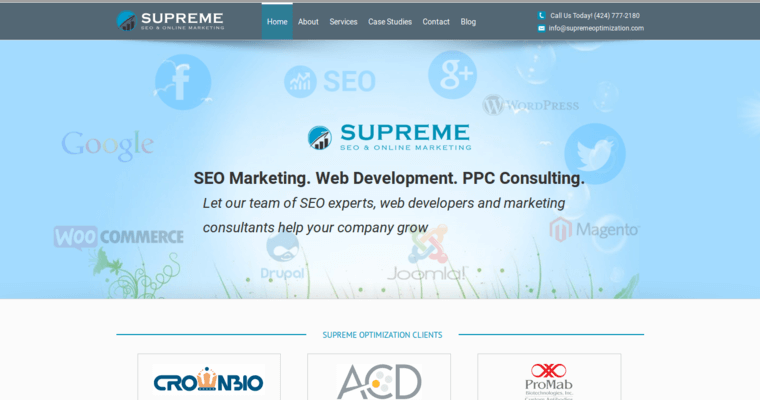 Staffed by experienced digital marketing experts, SEO consultants, creatives, and seasoned specialists in web design, Supreme Optimization offers an all-inclusive range of cutting-edge services and solutions. Among these are web design and development, SEO consulting, media buying, content marketing, social media management, branding, wireframing, stakeholder research, and more. Companies working with Supreme Optimization are given customized and multi-dimensional campaigns that reflect their individual budgets, needs, and goals. The SEO services that Supreme Optimization provides include website analysis and web redesign, link analysis and link building, keyword research, and on-page optimization among many other things. 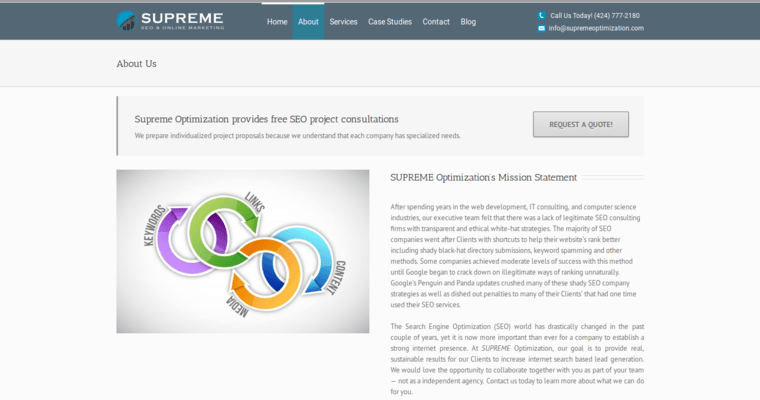 Supreme Optimization prides itself in using nominal investments to produce vast results.